Tomorrow is November 9, the day we as a community declared The International Day of Compassion last year. I will be honoring the day tomorrow with my Fertile Heart practice, I’ll go to the Village Green with my sign, wear my T-shirt and engage in conversation about the ideas that inspired the project. Are we as a community still turning? Yes, I’d say we are, we’re without a doubt turning a challenge into an immense healing opporunity and that’s in itself a huge Turn It Around Project. And our peace project is unfolding in its own perfect time. Slowly. Mostly because at this point, I don’t have all the neccessary resources to assume leadership of two different organizations in as active a way as I would like to. But the idea that inspired the project is as alive in me as the day I conceived it. In preparation for tomorrow, I want to make sure that I acknowledge and thank those of you who sent in signed petitions or signed the online petitions (if you’d like to sign them, we have a separate petition for US and for UK) initiated by our wonderful European friends. If you’re celebrating tomorrow, you can do it with the Turn It Around Song. /The melody is on our Turn It Around Video. wade in the waters and turn it around. What we don’t see we’ll never find. Turn it, turn it, turn it, turn it around. We sink or swim in a single stream. P.S. A note to our friends in other countries who sent me signed petitions: Only citizens of each country can petition their UN ambassadors, I ccan’t do that. I’m grateful that you are joining us but you need to hold on to those petitions or I can help you create one online. Thank you again for all your support so far! This is wonderful to see and much much needed in our society. If we all work on transforming our hurt and angry feelings into fuel for coming together in healing and compassion, we can truly turn things around. The time has never been more ripe than now. We can all do﻿ it, one step at a time.Thanks Julia for the inspiration! Thank you for all that you do! I cannot think of a more important project to be involved in as a “want to be” mom than one that helps us raise awareness and do our part to create a safer more compassionate world for our children. Being compassionate with myself is something that I am working on. It does not come easily and writing this I realize it’s the same case with other people. I am tough on my self and tough on everyone else as well. Writing this made me realize that I need to work on myself first. Galina, I was thinking of the Pen state scandal as well when I first read Julia blog. It’s appalling that no one spoke up for so many years, but then again knowing the sad state of our world and country today I am not surprised. There was a lot of money on the line. Thank you again Julia for keeping the flame of our peace project alive. Was thinking of you and Compassion on 11/9 and really on most days. It has changed my life to embrace this part of myself and realize it has immense value. Lately I have been thinking of the events at Penn State. If I was in my second home in Pennsylvania I would have gone immediately to State College just to witness and take in what I could. It feels very healing to me that there is awareness that something is very wrong when that many knew and could not bring this to light sooner. I was thinking of you on November 9! I vowed to be gentler, kinder and more compassionate with all around me and also myself, so I actually got to slow down. I believe that a day like this is important for us to remember what matters and question if indeed we are living our own lives as we would like to. Thank you for inspiring us all to be better human beings! 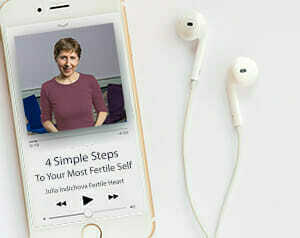 Tracy thanks for mentioning Quan Yin, she’s been a big part of my fertility journey too. It seems that compassion and fertility are closely related regardless of whether you are having trouble conceiving or pregnant or parenting. I did not receive the phone number yet. Anything to do with the hour difference with Europe ? I think Turning It Around is excellent. We need more compassion. So much of the challenges in the world are spiritual in nature. If someone was living on junk food and developed diabetes wouldn’t it make sense to change the diet using medications if necessary, rather than just using medications? In the same way , what is the root cause of deplorable human behavior? Can we address that? Sending thoughts of gratitude and compassion your way today. I am thinking of you and your presence in the village square as you observe the International Day of compassion. I am working on this day, so I made my intention to engage in an extra dose of COMPASSION with everyone I come in contact with. My observation is people seem to be breathing a little easier today, they are a little less guarded. I would say, hands down, the notion of compassion for those important in my life, and especially for myself, has healed so many painful orphans for me. For someone who has had to unravel many painful realizations and orphans in her life, this work has been a godsend. For the past few years I have engaged in so-called “mind-body medicine” practices. Breathing, centering, and focussing on “relaxing” rings empty for me now. Birthing my visionary self while healing my orphans and understanding others’ orphans (such as my mother’s) within the backdrop of compassion has been the soul medicine I needed and continue to take to nourish what has been missing in my heart. Thank you Julia for this practice in compassion. Throughout my infertility journey I have discovered and learned about Kuan Yin, The Goddess of Compassion. This really speaks to me because of that reason. I sent more requests out today and am hoping for more signatures today. Peace and compassion to all of you. Thinking of you at the Village Green today, Julia. Wishing you all compassion and love on this day of remembrance. Peace be with you.